What is 100% certian for us all? I was reading my Bible this morning in Psalms and came across this verse and it just hit, every single one of us will die. Then it hit me: Where will I go? I thought about it and the joys of knowing Jesus and the blessing of serving Him and then it hit me even harder; what about those that do not know. I got scared for them, it made me sad. I started to ponder that. It made me think about my neighbors, all eight of them that live in our building and the other 400 that live in our complex; who will tell them about the hope that I have. Do they have that hope? Do they know where they will go when they die? What is their thoughts on it? Are they correct thoughts or lack of understanding? From I see in the Bible it says that we all need to ask Jesus into our hearts to be our savior. We need to not only do that, but also to live for Him and His plans for our life. What I have learned is that the best choice you can make in your life is to live it for Jesus. None of us will ever be perfect, but I sure could use some guidance in this thing called life that I have trouble with all the time. What is a podcast? That is a great question and my simple answer would be: a great way for you to hear what God is doing in Vegas and what students are learning about here. How do you get our podcast? Another great question. Go to iTunes and on the left there is a section for podcasts. Click on that. Then in the bottom click on: "Podcast Directory". This will take you to all Podcasts. Go to the right side and click on: "Power Search". Then in the title line search: "Explode High School Ministry". That will bring up our podcast and from there you can listen to whatever you would like to. Think about this next time we (I enclude my self) complain about being American. 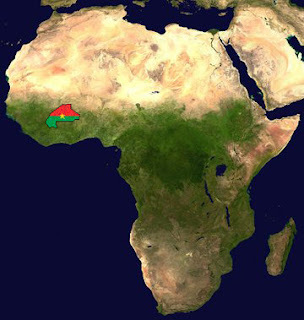 Did you know that Burkina Faso is the third poorest country in the world? You could live in Burkina Faso West Africa and make a dollar a day if you are lucky to be one of the 14% of the population that has a job. Otherwise you may be sweeping up sand to buy a bowl of rice for about a quarter. Yep, how does living on 25 cents a day sound?? ?